While many people use off-the-shelf automation setups for their electrical appliances, Ash Puckett’s Raspberry Pi Clapper pays homage to the king of infomercial classics. Uploaded by Travis Doucette on 2013-06-03. Sometimes, the best Raspberry Pi projects don’t need thousands of lines of code and a makerspace full of tech to make an impact: Ash Puckett‘s Clapper uses only a Raspberry Pi and a USB microphone as a basis. After that, it’s up to you to integrate the device into whatever project you wish, from home lighting and security systems to entertainment consoles — really anything you can switch from one state to another, including a Raspberry Pi! 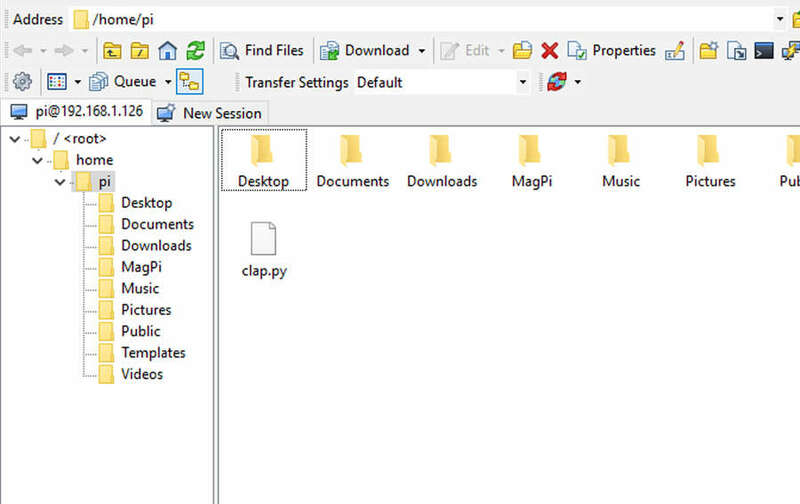 GitHub user nikhiljohn10’s clap detection script allows the USB mic to pick up the control clap. 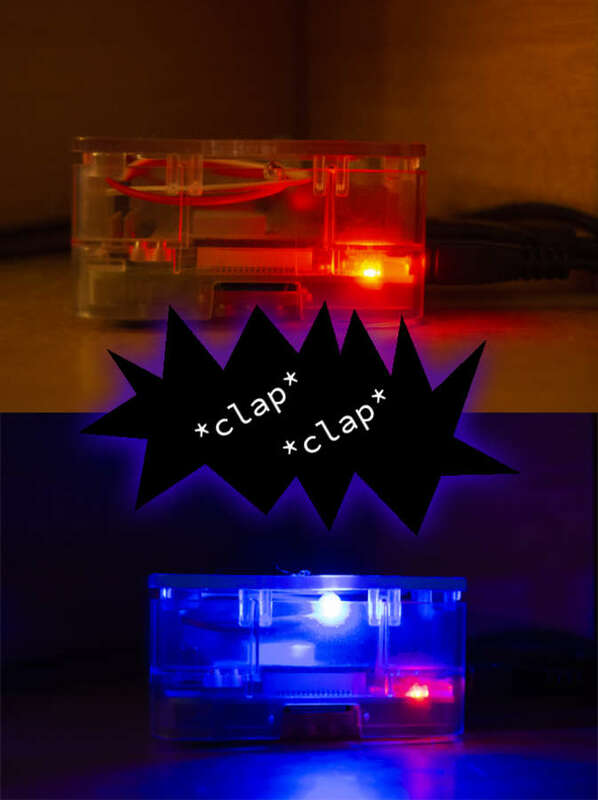 With the help of the RPi.GPIO and PyAudio libraries, Ash demonstrates that the Clapper works by turning on and off a red LED attached to the Pi. You will find instructions for putting together the code and running it on your Pi on the project’s Howchoo page. Howchoo also hosts some of Ash’s other Raspberry Pi projects, including a music streaming device, a smart clock, and a Pi-powered calendar. Why not give the Clapper a go, and let us know what you decide to use it for! I, for one, will secretly set one up to mess with all the lights in the office — what could possibly go wrong? – a representative example that uses just ten components including the battery, microphone and LED. The total cost is pennies: the most expensive thing is probably the 9V battery. I know I’m old and moany but I question the wisdom of using a multi-core, multi-MIPS processor and gigabytes of memory (= billions of transistors) to replicate a device that can be put together much more cheaply in pure hardware, uses a teensy, teensy fraction of the power, and which ‘boots’ in microseconds, not minutes. I venture to suggest this is training people to overcomplicate solutions and waste resources. How much of my desktop PC’s power is used to accomplish an actual task compared to running the bloated operating system and vast swathes of code in the application? OK, end of rant. But do remember, simple is often good too. I see this statement a lot when sharing projects on our social media channels. While it’s sometimes true that a project could be completed with a smaller, cheaper device, we must consider the possibility that the project creator only owns a Raspberry Pi. Or maybe they want it to do more than just that one function, and running everything off of a Raspberry Pi saves time, cost, and space. I don’t own a Teensy, an Arduino, etc. I just own a Raspberry Pi. So I run all my projects on that. Simple is often good, but so is accessibility. Thanks Alex. I do of course recognise that programming a Raspberry Pi (or PIC or Arduino) to blink a LED in response to a stimulus is an important ‘Hello world’ first step. Once you’ve mastered that, writing a real-time control system for an engine or a nuclear power plant or a rocket is merely a matter of scale. Simple analogue electronics alone cannot meet more than a tiny proportion of needs, and neither can pure software-based techniques. But pairing these, with a knowledge of both, is where the true power lies. It amuses and saddens me when I see vast computing power used for trivial applications that could so easily be done in cheap hardware – “Alexa, turn on the lights”. Clapper are really fun, until you get sick, and realize that it activates when you cough loudly lol. I used the pyaudio and the pycurl library to send a HTTP-Request to my ESP8266-µC. The µC is connected to a WS2812B-LED-Strip and has endpoints for different animation modes. If I clap twice the light turns off/on. With three claps I switch to the next animation. Unfortunatly the USB-Microphone on my Pi registers if I walk on the floor of my room and sometimes triggers the HTTP-Request randomly. Home automation. For your Galaxy-class starship.